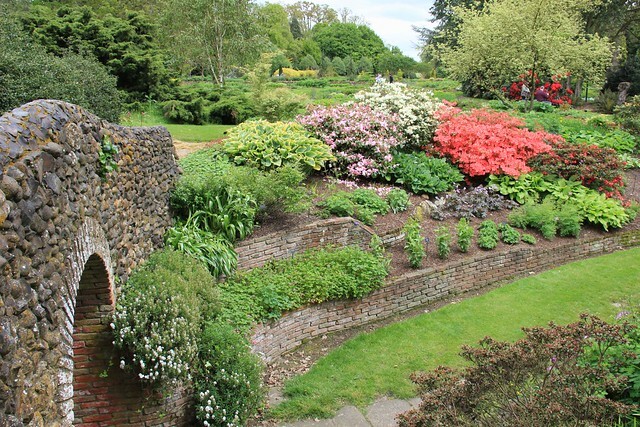 The oldest private garden in Norwich has been delighting citizens for centuries – and is now often open to all in aid of good causes. This city centre paradise includes spectacular borders with plants from around the world, an impressive kitchen garden and rose garden and a grass labyrinth with a 400-year-old pear tree at its heart. See a hebe grown from a cutting taken from Queen Victoria’s wedding bouquet. 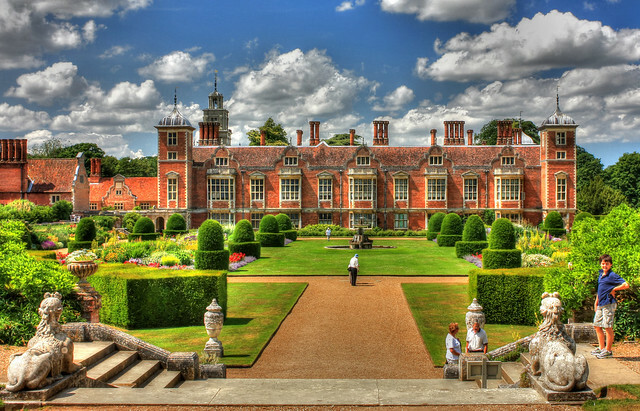 The gardens surrounding beautiful Blickling Hall are so historically important that they are grade two registered. 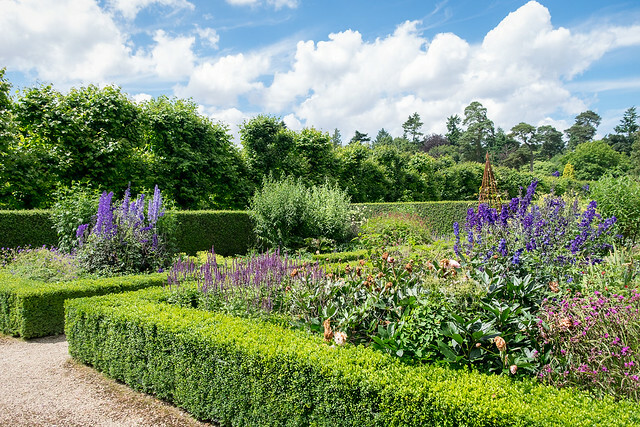 Created over four centuries they include magnificent borders, a geometric parterre, walled kitchen gardens, an orangery, a wilderness garden and areas themed by colour and plant species. Just beyond is parkland, woodland, a lake – even a pyramid. Plant-filled islands float across the landscape. See rippling rivers of blooms and waves of grasses, hidden gardens within gardens surrounded by hedging, all linked and embraced by wide, green lawn-lanes. Foggy Bottom flows into the Dell Garden and the entire Bressingham site also includes visitor fun ranging from steam trains to Dad’s Army memorabilia. Victorian pleasure gardens once brought 60,000 visitors a year to Brundall. 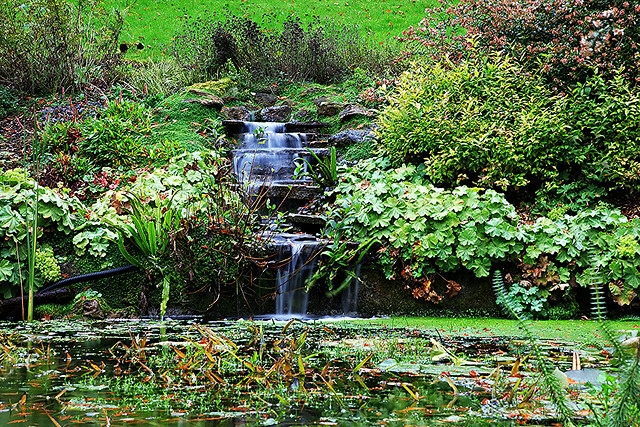 The riverside gardens included a series of ponds cascading down to a lake, rockeries, an arboretum and rare plants collected from around the world. Then they almost disappeared – until the owner of one of the new houses built on the site began a restoration project across several neighbouring gardens. Open by arrangement. This dramatic private garden was created over decades. Mysterious and startling, it is a paean to nature packed with fabulous native and exotic plants – plus a fairytale tower, courtyards, caves and even a temple. Only open by appointment to groups. From Holland to the tropics and a desert to the Mediterranean, the multitude of gardens here are astonishing. Sculpted from coastal fields, the interlinked gardens are each a thing of beauty individually, a wonder together, and, a clever window into the natural loveliness of the surrounding countryside with peepholes cut into hedges to draw in the nearby lighthouse and church. 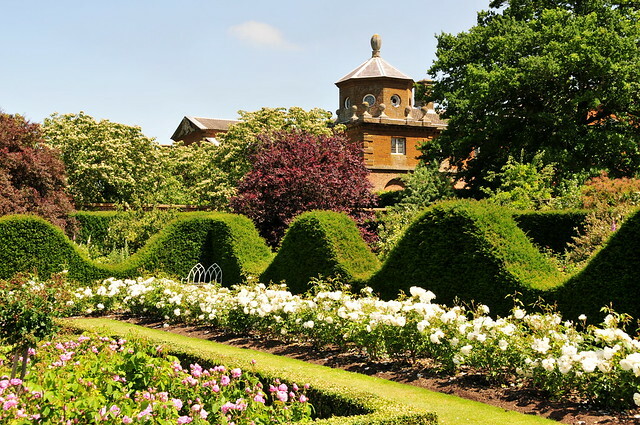 A moated manor is surrounded by more than 200 varieties of old-fashioned roses, a wildflower lawn, arboretum and formal garden with clipped box, lavender, sage and thyme. This watery wonderland of streams, ponds, canals, bridges, flower borders, meandering paths and mature trees grew from a damp grazing meadow. When the fountain of flame and water is working it is astonishing. Water! Fire! Together! Very high in the air! Even when the fickle fountain is not firing, the gardens of Houghton are fabulous. Go for the elaborate walled and hedged formal gardens, the modern sculpture collection, the vast lawns, the wisteria in spring and the white deer flitting through the parkland. 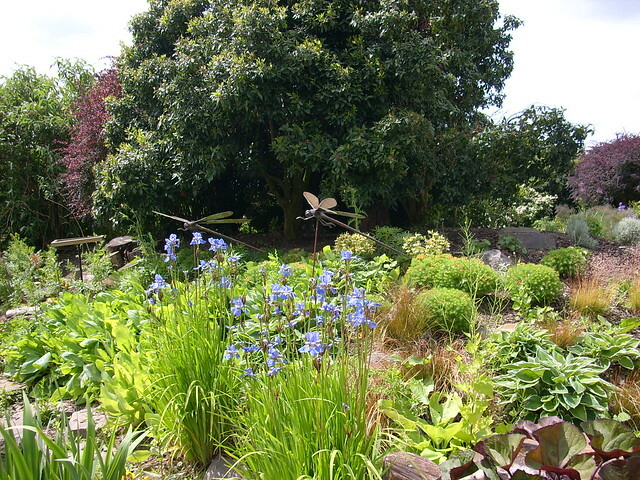 Four lovely gardens are part of the huge wetland wildlife reserve, including a habitat garden created to inspire visitors to plant their own wildlife-friendly plots. 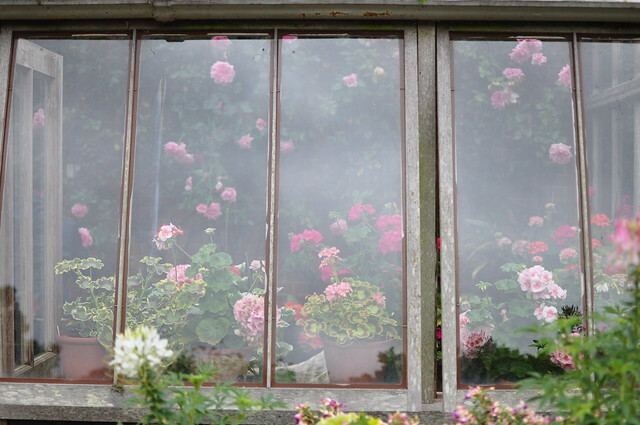 A true secret garden – this hidden city haven was submerged by a tangle of brambles and weeds for decades. Every time we visit we marvel again at the remarkable restoration which revealed a 30ft Gothic fountain, a towering Italianate terrace at the far end of the garden, and ornate stone-work, fancy beds and a network of paths and steps and bridges at every turn. Lawns, a lake, a rock garden, a bog garden, woodland, a walled kitchen garden and year-round colour add to the richness of these royal gardens. 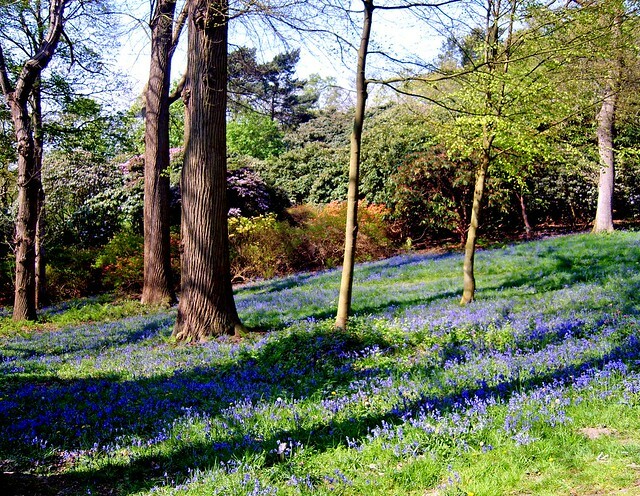 Next month the thousands of rhododendrons and azaleas in this coastal parkland will be in spectacular full bloom, but the entire park is one of the finest achievements of landscape gardener Humphry Repton with stunning views of the coast and countryside from special viewing towers, and from ground-level too. Unless you’ve a car to park it’s all free. Towering hedges enclose spaces lit in myriad shades of green. Corridors of topiary lead into new sections of lawn, leaf, sky and stone. 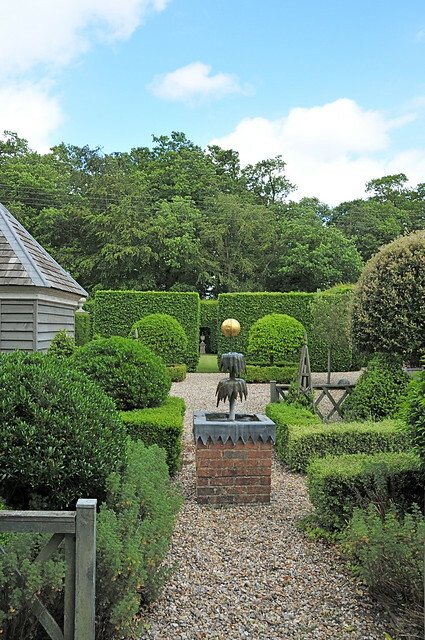 Internationally-known garden designer George Carter created this calm geometric garden, smoothing hedging into orbs and obelisks, adding water features and frequent touches of horticultural humour. While all lovingly-tended gardens are miracles of nature, these take miraculous to a whole new level. 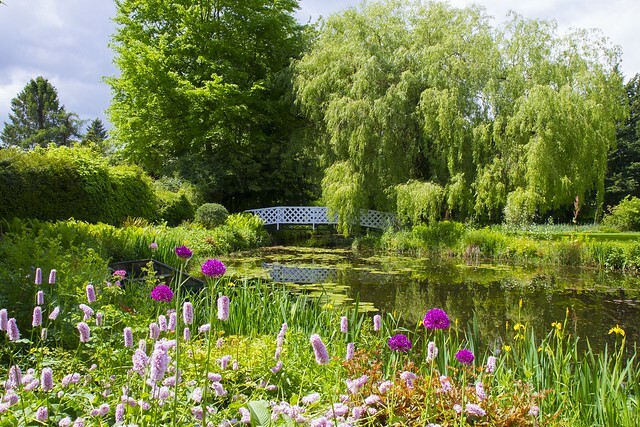 We love these gardens with ancient ruins set among lawns, flower-filled borders, woodland and a stream. They were once one of the most important places of pilgrimage in the medieval world. 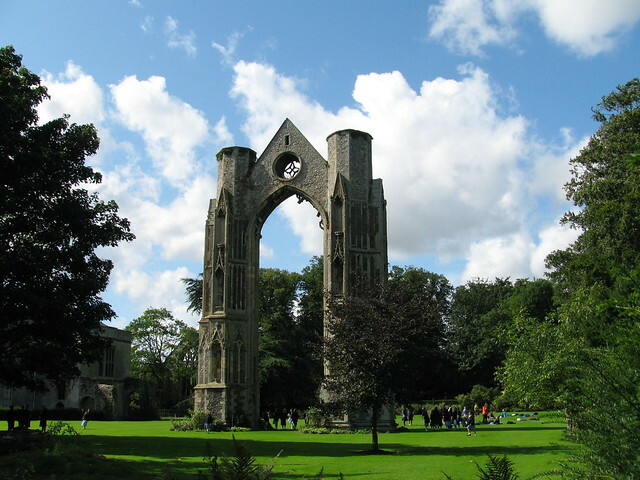 Today the soaring gothic arch of the priory and its holy wells stands in gardens famous for their February snowdrops.